Similar to Botox, Dysport is an injectable wrinkle relaxer that treats forehead and frown lines by paralyzing the wrinkle-causing muscles. Like Botox, Dysport also known as Reloxin is derived from botulinum toxin type A. However, it has been known to act quicker and last longer than its predecessor. 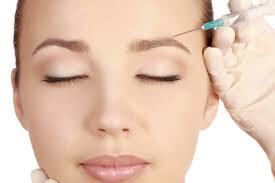 At Estetica Institute of the Palm Beaches, Dysport injections are one of our most popular procedures. Estetica’s trained technicians are highly skilled and meticulous in implementing the procedure. If you’d like to see some before and after photos or you’re interested in learning more about average prices, call today to set up your personal consultation. During this relatively painless procedure, one of our technicians will inject the Dysport solution directly into the treatment area using a tiny needle. The treatment takes place in the doctor’s office, and it should take no longer than 15 – 20 minutes. You’ll be able to resume your normal daily activities immediately. Even though procedure requires no downtime, patients should avoid exercising, lying down or rubbing the treatment area for at least four hours. If any swelling or bruising occurs, treat the area with an ice pack. Otherwise, you’re able to go about your daily activities immediately following the injections. Am I A Good Candidate For Dysport? If you’re unhappy with frown lines, deep creases in the forehead or other unsightly wrinkles on the face, Dysport may be the perfect solution. Most of our patients are between the ages of 30 and 65. The procedure works on both men and women, but it’s not for everyone. If you are pregnant, breastfeeding, or if you have a neuromuscular disease, you may not be a suitable candidate for this treatment. Please discuss your medical history with your doctor before electing to have this procedure. What Are The Typical Results? Most patients report a rapid response, seeing a decline in facial wrinkles as soon as 24 hours after the injections. Another perk of this treatment is that it can last up to six months. That in comparison to the three-month time frame that Botox offers. But to truly gain an understanding of what Dysport procedures can do for you, we suggest looking through some Dysport before and after photos. 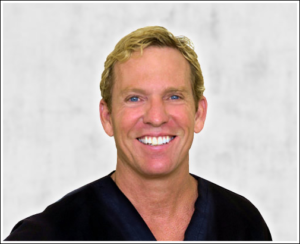 At the Estetica Institute of the Palm Beaches office, Dr. Greg DeLange & Dr. Arturo Guiloff offer plastic and reconstructive surgery to patients across South Florida including: Palm Beach Gardens, Jupiter, Tequesta and West Palm Beach, Florida.